Many patients believe that it is the needle insertion that causes discomfort (a bee sting feeling) during a painkiller shot at the dentist’s office. However, most of the pain is actually caused by the pressure and flow of the painkiller medicine. STA, which was invented by Milestone Scientific in 2007, doesn’t even look like a syringe that you would find in a normal dental injection. STA's tiny needle is much smaller than traditional dental needles and eliminates the typical full-face or half-face numbness that many patients experience when painkiller medicine is shot into their gums during a dental procedure. STA eliminates that bee sting feeling with computer controlled, automatically released anesthesia. These doses of anesthesia are shot into your mouth without utilizing the dreaded dental syringe. STA, also known as Single Tooth Anesthesia, is a computerized device that is used to administer and control the release of a precise amount of painkiller that a dentist gives to a patient. With STA, patients no longer have to worry about waiting hours before speaking or having a fat lip and lopsided face. The STA, using dynamic pressure sensing, helps dentists find the correct site to give the STA injection. First, Dr. Kashani will apply a little spray to numb your gum and then she will use the STA, which gives a slow release of small doses of anesthesia through its computerized system, as needed. The STA has an on-board microprocessor, which guides the painkiller flow rate. The microprocessor even figures out how thick your gum tissue is and the painkiller medicine is delivered so that the shot is hardly felt. With normal needles, there is a lot of pressure used to deliver a small amount of painkiller, but the STA delivers a larger volume of painkiller under less pressure. higher comfort, reduced anxiety, faster numbing and the ability for a dentist to anesthetize one tooth without numbing the whole side of a patient's face. It's not surprising that the STA method is a favorite among people who fear shots as well as children. Another great advantage for patients is that the dentist does not have to inject a second or third needle with the painkiller. The STA's tiny needle actually stays in the gum (while Dr. Kashani performs the dental procedure) and pumps in painkiller medicine as needed. So there is no more need for multiple painful shots of painkiller. It’s also worth noting that traditional needle injections are painful and can often leave gum tissue damage. The STA is a comfortable injection, and a clinical study showed that it caused no gum tissue damage and little or no discomfort after people had their dental procedure. 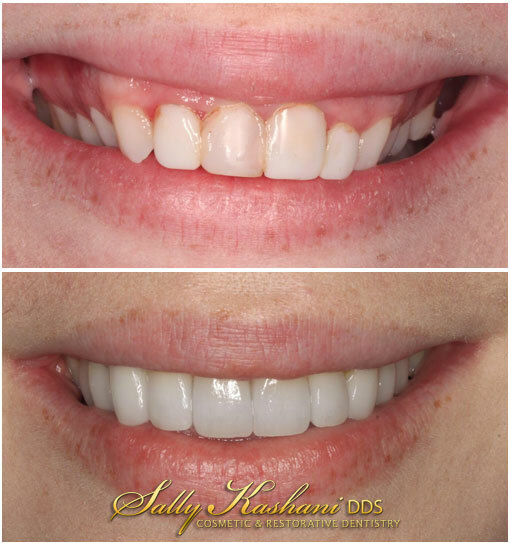 To learn more about the STA and how it could make your next dental procedure a more comfortable experience, please call (818) 508–7272 today and make an appointment with Dr. Sally Kashani to discuss your dental needs today.